The Ingstad family-owned radio stations of KDUZ-AM, KARP-FM and KGLB-AM in the Hutchinson and Glencoe markets have a long history of serving our local communities. With a reach of 10+ counties in central Minnesota, they’re the go-to for people looking to gather local news, sports, weather and more. Through state of the art digital equipment and technology, our stations are proud to offer online streaming and a mobile app so you can take us wherever you go. In addition, our extensive network affiliations reach far and wide to bring listeners what they want and need to hear as it pertains to them. 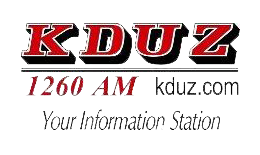 For over 60 years, KDUZ-AM has been “Your Information Station” in central Minnesota. A 1,000-watt station that hit the airwaves in 1953, KDUZ broadcasts 24 hours a day and seven days a week. Our focus of bringing you local news, weather and sports has never wavered. Among our many network affiliations are the ABC Information Radio Network, the Minnesota News Network, Associated Press, Brownfield Ag, the Minnesota Wild and the Minnesota Lynx. Welcome to HIT 106! 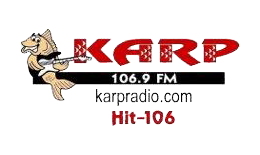 At KARP-FM, we proudly bring you “Today’s Country and All-Time Favorites” 24 hours a day and seven days a week since our inception in 1993. We strive to keep our listeners informed on the latest local community news, weather and sports. We’re your home for high school sports, the Minnesota Vikings Radio Network, and Minnesota Twins baseball all summer long. Since its launching in the summer of 2009, KGLB has made an immediate impact in the communities we serve. As “Classic Hit Country” might imply, we bring you hits from yesteryear that you can sing along to. 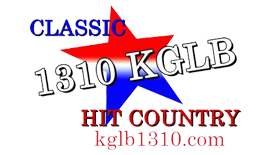 A 2,500-watt station broadcasting 24 hours day, KGLB offers local news, sports and weather on the hour. With network affiliations like the Linder Farm Network, Minnesota Vikings and Minnesota Twins, we’re a spot on your dial that you never have to leave.